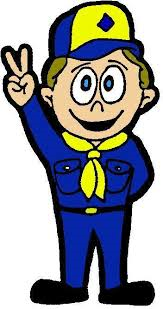 On November 30, the BSA announced changes that will make it easier for Cub Scouts to complete each rank within a year. These new requirements were implemented in TroopWebHostCS the following week. Cyber Chip for Cub Scouts. The Cyber Chip award may now be tracked on the Adventures & Badges page at all age levels. The new World Conservation Award Report shows the status of all requirements for this award, including the new ones added on December 16. New ScoutBook upload programs allow you to transfer membership, advancement, and participation history into TroopWebHost from ScoutBook. Troop 974 of West Chester Township, Ohio! The banner image on the home page really pops, especially with the color scheme they created with their own custom CSS. We also like how they rearranged the sections on their home page so that when it is viewed on a mobile device their "Welcome" message appears at the top of the page, with the other sections stacked below. Your award ribbon is on its way to you! Please contact us at CustomerSupport@TroopWebHost.com. Please include your troop number and city in your message so we know who you are.